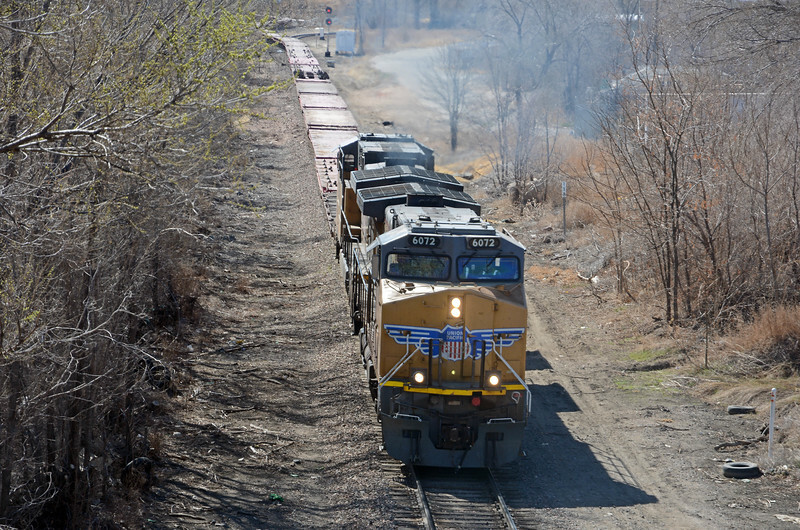 We learned at the UP engine facility that a train of empty flatcars for carrying wind turbines was due for a crew change north of Pueblo Junction. There's a Vestas wind turbine manufacturing plant south of Pueblo, maybe once it had cleared the junction it was going to back into the facility. 6072 and 5563 are yet more GEs, this time a AC44CWCTE.